One of the greatest social fallacies of family life is what I call the Fallacy of Parental Omniscience. Parents often debate about what children should be told about sensitive issues, when they should be told, how they should be told, etc. The truth is that children of infidelity have a brilliantly sophisticated emotional radar. Research says that it is often more finely attuned than adult radar. Whatever you’re withholding from them, they’re in the process of figuring it out in their own way in real time. During a crisis of infidelity, parents tend to make one of two unfortunate wrong moves. They either tell the children too much, or they say too little. The parent who advocates telling them everything might be a Hurt Partner seeking to create an alliance with the child against the Involved Partner, or it might be the Involved Partner seeking to preemptively wrest control of the “story” from the Hurt Partner. In either case, considerations of appropriate boundaries with children of infidelity are subordinated into political maneuvers and petty wrangling. How the parents function around the infidelity. The age of the child. The cultural, ethnic or religious contexts. The family’s quality of life before the affair. These are but a few of the larger issues that parents must consider. Under dysfunctional conditions, children of infidelity can be enormously impacted for a lifetime. The woman understandably developed a Borderline Personality Disorder. She had a desperate fear of being abandoned by her partner, and of course, this fear was only matched by her skill in becoming involved with philandering men who pushed all of her family-of-origin buttons. Half a century after her father abandoned his family, she remained a frightened tortured soul. Should Children of Infidelity Be Told? Therapists are divided on this issue. But there are some useful guidelines. What role does the affair have in family functioning? Is divorce on the table? Is there fighting in front of the kids? In most cases, a firm “keep secrets” policy will drag your kids into your issues because they will have a compelling need to connect the dots. Children of infidelity will acutely feel every shift in your marital dynamic. Every shrill tone, every sigh, every bang, every whimper. If your intimate world is crashing around you, please do not make matters worse by operating from the conceit that you can somehow keep this from your children. You can’t. Teens have a sophisticated level of understanding. However, when their sense of security is threatened, they can be resentful and unforgiving. If you are not careful and pro-active, this alienation can last for decades. Research shows that frank discussions of what you are doing to save your marriage, or careful information about how they will be impacted by decisions being made, is both therapeutic for the children and parents. The two biggest mistakes with children of infidelity are recruiting them into one-sided parental alliances and keeping them in the dark about issues that they are anxious about. Children will engage in magical bargaining with the universe. They will sometimes focus on what they imagine a parent needs, instead of clearly communicating what they need from their parents. Whether or not the marriage survives, Children of Infidelity require parents who will suspend their hostilities and re-focus their attention on what their children need in the short term as well as down the road. Conflict-Avoidant Couple Affair: These kids tend to be the least impacted, as long as the parents are actively working to ask for what they need and break their tendency to play nice 24/7. Conflict Avoidant Couples that never get help often mutate over time into Split-Self Couples with a history of serial infidelities. Split-Self Couple Affair: The myth of family perfection has also been promulgated to the children. When they learn that the truth is otherwise, they can become depressed, and feel betrayed and angry. They may act out in reaction to what they perceive as a high order of parental hypocrisy. Split-Self parents teach their kids to become split-self. These feelings can resonate miserably far into their adult future. Intimacy Avoidant Couple Affair: According to researcher Emily Brown MSW, LCSW, Intimacy-Avoiders are the most damaging dysfunctional dynamic for children. Gottman’s research on the impact of fighting in front of the kids is unassailable. Triangulation and constant battles are actually worse for children than divorce… and the impact of divorce is pretty bad. 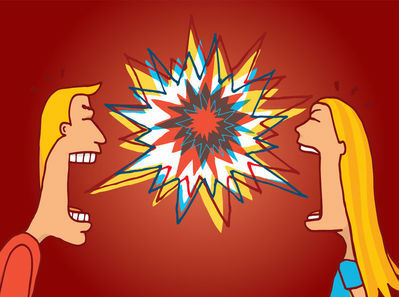 Research shows that in early adulthood, children of bickering Intimacy Avoidant Couples have more problems with intimacy because of the prolonged exposure to parental warfare. 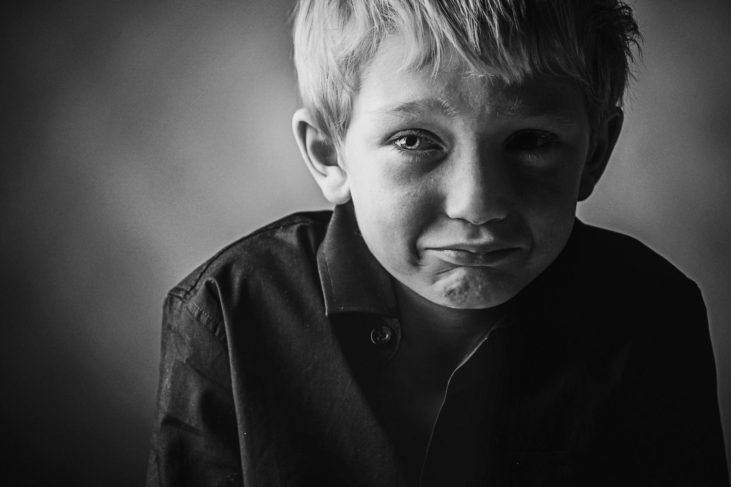 Exit Affairs: These affairs burden children with shame and a profound sense of betrayal. 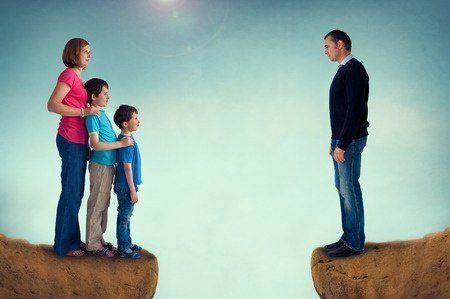 The children are very often triangulated or recruited into taking sides, as the Exit Affair usually plays out as an emotionally disconnected blame game. If these children become excessively attached to one parent and cut-off from the other, long-term issues of insecure attachment, anxiety, and self-esteem deficits often result. Issues with trust and commitment create an inter-generational burden that may be also carried far into their future. When kids tell you that they don’t want to do their homework, and you uncharacteristically explode… they will begin to worry and ruminate. When young kids under around age 9 or 10 become anxious about how their parents are functioning, they begin to craft a narrative about how they are the problem. Sometimes they will act out, become depressed, profoundly listless and sad. They may even become physically ill in a strategic unconscious attempt to compel their parents into becoming a united front once more. Children need information that is considerate of their developmental age that reaffirms in no uncertain terms that they are loved and cared for. Kids should not be stressed out or burdened with your baggage. They need to know if you are trying to stay together, or if divorce is only a matter of time. They need your understanding, not your impatience. Kids learn about intimate relationships from the two of you. And what you decide today will echo through time. They are grieving the loss of the comfortably secure family that you once provided. What do Children of Infidelity need? They need both of you right now… more than ever. Is There Hope For My Marriage After Separation? Previous Post Split-Self Affairs Next Post How Could He Do This To Me?